My friends, I've been vey busy lately, so as plan I will take some days away from my computer to enjoy my blessed family and focus on Our Lord and Savior Jesus Christ. Be blessed and enjoy the gift of creativity He has placed in your hands. Change the world around you through your art...His art. Mis queridos (as) amigos (as), he estado bien ocupadita ultimamente, aso que tal como pense hacer me voy a tomar unos dias fuera del internet para disfrutar de mi familia y reflexionar en nuestro amado Senor y Salvado Jesuscristo. Que sean muy bendecidos y disfruten del regalo de la creatividad que El ha puesto en sus manos. Cambie el mundo a su alrededor por medio de su arte....SU arte. Merry Christmas to you all from my heart! Feliz Navidad les deseo desde mi corazoncito! You can leave me your comments thou...would love to hear from you! Me pueden dejar sus mensajitos....me encanta saber de ustedes! I used one of the Holiday Catalog Designer Series paper. See! Snow Festival Designer Series Paper. It comes with these...you just cut and mat! At last I try one of these wonderful trees...a bit time consuming but sooo worth it! Thanks Joan for the awesome instructions!! Si desea las instrucciones dejeme su email y se las mando. Me fueron dadas por otra maravillosa demosntradora de Stampin'UP Joan Gross! Hello my dear ones, I hope you are all caught up with your projects...I am! Hehe! O well...I wish! Hola mis queridos(as), espero que hayan casi terminado con todos sus proyectitos de Navidad...Yo si!! Haha...que va, ojala! I ended up making some embellishments for these ornaments...I actually made another set of smaller ornaments and added the images from Pines & Poinsettias (retired). I loove this stamp set and that glimmer paper. Termine anadiendo unas imagenes a estos adornitos. Me fascina este stamp set aunque ya esta retirado, Pines & Poinsetias. Here some of my tree ornaments. Aqui algunos adornitos para mi arbolito. A dear friend of mine sent some scrapbooking paper to my darling daughters...it was an early Christmas around here that day. Hehe! We love paper in this house. I decided to make some good use of some of the pretty paper strips. So, here they are! Una amiga muy qyerida le envio papel de scrapbooking a mis hijas, y que emocion fue! Use unos pedacitos para hacer estos arbolitos navidenos. Go visit the Clearance Blitz on my store right now! Visiten el CLEARANCE BLITZ EN mi tienda!! Soon I will be taking some days off from the world of blogging, facebook, and internet altogether. It is a beautiful season to spend with my loved ones so that is exactly what I plan to do. Il share this week some of the projects I'm currently working on. Let me know what you are working on! Prontito me voy a tomar unos dias lejos del mundo de blogs, facebook y el internet completo. Es una temporada hermosa para pasarla con la familia y eso es exactamente lo que pienso hacer :). Compartire con ustedes esta semanita algunos proyectos en los que estoy trabajando al momentos. Dejame saber que estas haciendo tu! Hope to onspire you to make beauty around you and share! Espero inspirarle un poco a crear hermosura a su alrededor y compartirla! GUM HOLDERS FOR MY MOMMYTIME FRIENDS. Sobrecitos con goma de mascar adentro para mis amigas mamas. some chocolate treats for my daughter's friends. Regalitos para las maestras de mis ninas. Son para poner en el tope del regalitos...chocolatitos. My girls love pink so why not a pink Christmas Card for teachers. Mis ninas aman el rosado asi que porque no una tarjeta rosada para las maestras. Adhere sides with Tombow Multipurpose Adhesive. Adhere with Dimensionals to the envelope, that way the ribbon will slide under. You could place gum or a gift card inside. Wrap around a piece of ribbon and tie a knot. This will make your envelope reclosable. closer to the snowflake, actually under. Cut two of these leaves from the Autumn Accents Die in Crumb Cake CS. Punch a 3/4" Real Red circle for the nose. Place some sticky strip inside to adhere to your treat. of WW Cardstock with a To/From tag. Hope you enjoy these! Leave me a comment and have a MERRY CHRISTMAS!! No hace mucho recibi mi copia de la revista 'Stampin'Success' en el correo. Revista que envia Stampin'Up! a sus demosntradoras gratis. Me encanto esta idea asi que hice unos para mi arnolito. No estoy segura si les voy a anadir mas. Me gusta la simpleza de las fotos de aquellos chiquillos que tanto amo y que Dios me bendijo con....a lo mejor le anado la fecha en la parte de atras (o no!). This is the inspiration I got form Stampin Success magazine...Cute ha? Esta es la pagina que me inspiro...chula verdad? 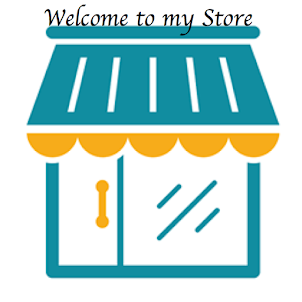 Leave me your love with your comments and visit my Store for all your stampin needs! Dejeme su carino con sus comentarios y visite mi tienda para todas sus necesidades artisticas! About a month ago I posted a petition on facebook for a challenge. I asked my followers to give me an idea for a project, a challenge. Then I randomnly picked between the responses and the winner received a set of Snow Festival Tags on the mail plus a card...my dear friend and faithful follower Eva Gla! Well...almost a month later I finished my project and at last Im able to show it to you. Eva asked for me to make some sort of mini album for the 25 days of December culminating with Christmas and so I did. 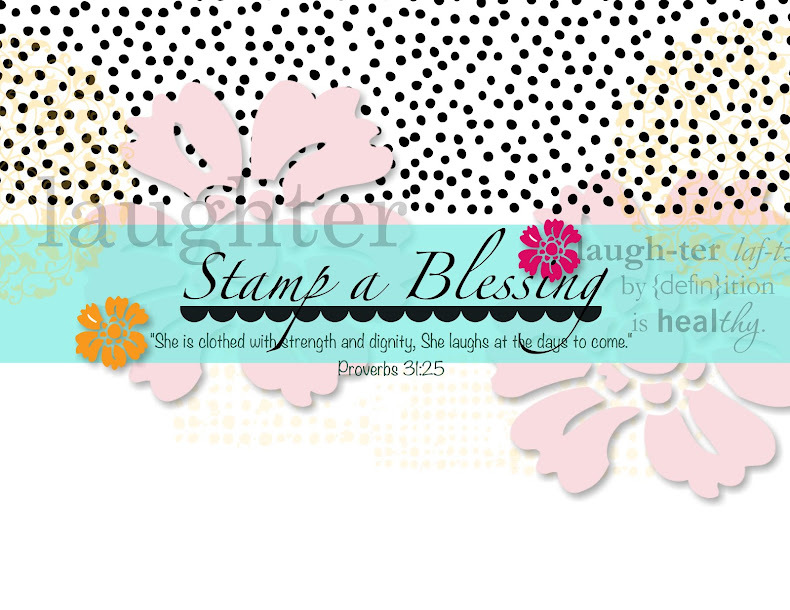 Tools: Big Shot, assorted Dies and framelits from Stampin'Up!,assorted Stampin'Up! Embossing folders, Crop-a-dile, Paper piercer., Itty Bitty punches. Hum, what to do with it...is way too pretty to throw away. Sooo what I did, is I saved the scraps, punch different sizes of circles and did the Inlaid Embossing technique using the new Chevron Embossing folder from Stampin'Up! I then stamed this beautiful snowfalke from the set Snowflake Soiree (love it) and punched it with our big circle punch. What do you think? What kind of projects are you doing lately? I've been focusing a bit more in enjoying the season with my little children so not so much posting but Yes! Im creating! Still have to do some more Christmas cards...yikes! Many blessings! Keep the joy of the Lord in all you do. Leave me your love with your comments. They are moderated now...so you dont have to write the robot typing google asks. It works neat! Thanks for your comments! I love what I do! Amo lo que hago! Truly my dear readers, being a Stampin'Up! demonstrator has been such a fun amazing experience. At times I thought, will I ever get bored of receiving new stamp sets and tools on the mail, checking out what's new, getting the different promotions (to which demos have a 20%+ discount :), reading the Demos forum or seeing the talent in this company....Oh goodnes, so NOT! Verdaderamente mis queridos lectores(ras), ser una demonstradora de SU ha sido una experiencia divertida y maravillosa. En ocasiones pense, si alguna vez me aburriria de recibir nuevos sets de sellos y herramientas en el correo, de ver lo nuevo cada semana, de recibir nuevas promociones (en adicion al 20%+ que tenemos de descuento las demos), de leer el foro de las demonstradoras, o de ver el talento que se encuentra en esta compania...O claro que no!! Il show you some snapshots of what I've been doing in the last week. Dejeme mostrarle una fotitos de lo que ha estado haciendo. Last Friday was my Christmas Cards Buffet...what a fun time we had. Here one of my sweet ladies (who never stamped before). I just could not resist the joy of seeing her enjoying this so much. She just giggled the whole class...and me too! El viernes pasado fue mi clase de Tarjetas Navidenas...y que tiempo mas lindo pasamos. Aqui una de mis dulces senoras (que nunca habia hecho stamping antes). No puedo resistir el gozo de verla disfrutando estampar...se reia sola y yo con ella! It was a joy to have you all in here! Thanks for your continual support my sweet friends...now remember what I said, you are suppose to give those cards away...lol! The next day I sat to finish an Advent Calendar I was making for my kids. Here a sneak peak...will show you more later...so excited...we already started it! El dia siguiente me sente a terminar un calendario de Adviento para mis ninitos. Una fotito temprana de como va...comparto mas esta semana..tan contenta que ya lo empezamos. I opened (at last) my Merry Moments Simply Scrappin Kit (it's in the Holiday Catalog). gotta say I love it! Il share insturctions tomorrow (cause Im running). Abri al fin mi kit Simply Scrappin Momentos Felices (esta en el catalogo de Fiestas). Hice mi cajita con 25 sobrecitos hechos con la ayuda del troquel Scallop Envelope, me fascina! Y asi termino mis paginitas. Fue tan facil con el kit...como espere tan tarde para abrirlo, me fascino! Last but not least...I wonder what was he thinking when this happened? He is holding my orange ornament!! So far so good...have a beautiful Christmas season! Y por ultimo me preguntaba que estaria pensando mi bebe? Hasta el mometno todo bien...que tengan una hermosa temporada navidena! 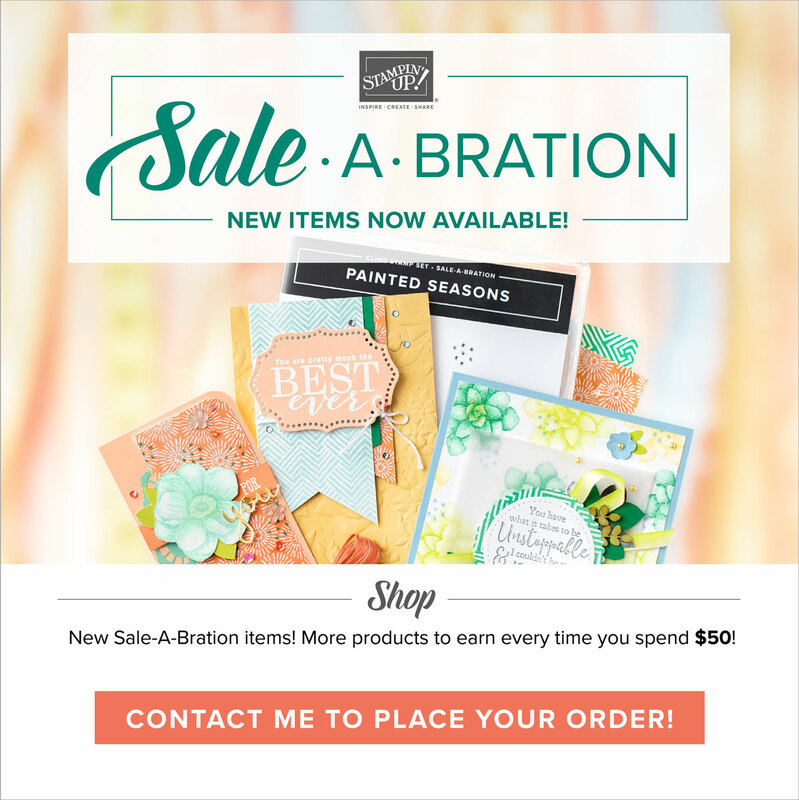 Go visit HERE my Stampin'Up webpage so you see the NEW ARRIVALS...some very cute kits you will love...Il post more tomorrow but let the pics inspire you! So fun! Vaya y visite mi pagina de web de Stampin'Up! AQUI para que vea LO NUEVO...unos kits bien chulos que le van a encantar...posteo mas lueguito deje que las fotos le inspiren. Such cool gifting ideas...all you need to prepare your Christmas gifts...go check it out!